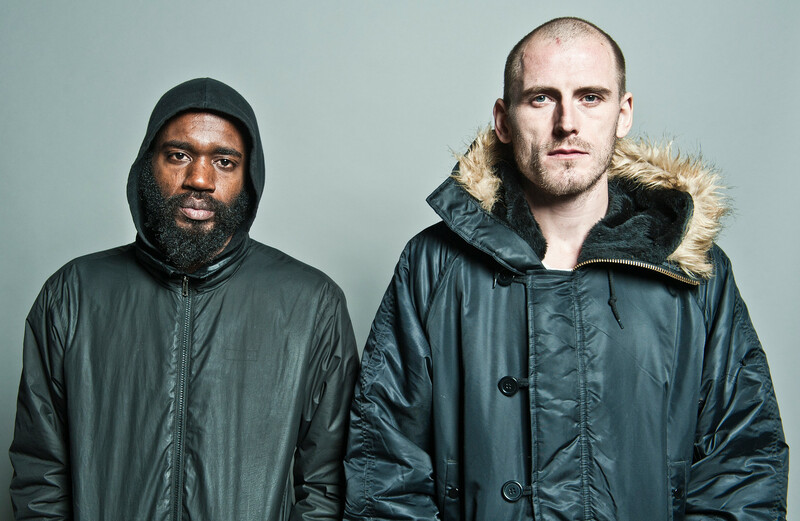 Experimental rap-noise duo Death Grips, consisting of Stefan “MC Ride” Burnett and Zach Hill, formed during late 2010 in Sacramento, California. The band soon dropped the highly acclaimed mixtape Exmilitary, featuring the standout track “Guillotine,” which was named Time Out NY’s #1 single of 2011. From its inception, the band has received unparalleled critical praise from tastemakers such as Pitchfork, NME, Spin, Rolling Stone, The New Yorker, and more, while being featured on countless “best of” lists. In 2012, Death Grips followed up Exmilitary with their full-length debut, The Money Store. The album builds on Exmilitary’s unique punk-rap sound and explores new territory with standout tracks “Get Got,” “Blackjack” and “I’ve Seen Footage.” The album quickly solidified the band’s position as one of the most intense and visceral bands around. Death Grips was named the most legally downloaded band on the internet for the first half of 2012, racking up an impressive 34 million downloads on BitTorrent. Delivering on the promise of putting out two albums in 2012, Death Grips dropped No Love Deep Web in October for free online. The album was streamed over 100,000 times in the 24 hours following its release. The sonically intense music, coupled with provocative album art was received with unprecedented critical and commercial attention. Death Grips now tour intensively. Their most recent album, The Powers That B, dropped in 2015. Your weekly source for the best new music videos of the week, this time featuring Dizzee Rascal, Kingdom & Kelela, Death Grips, Goldfrapp and more.